The 18-hole Arbor Hills Country Club in Jackson, MI is a private golf course that opened in 1926. Designed by Arthur Ham, Arbor Hills Country Club measures 6502 yards from the longest tees and has a slope rating of 129 and a 70. The 9-hole Blue at Hickory Hills Golf Course in Jackson, MI is a public golf course that opened in 1991. Blue at Hickory Hills Golf Course measures 3408 yards from the longest tees. The course features 4 sets of tees for different skill levels. The 18-hole Cascades Eighteen at Cascades Golf Course in Jackson, MI is a public golf course that opened in 1929. Designed by Tom Bendelow, Cascades Eighteen at Cascades Golf Course measures 6614 yards from the longest tees and has a slope rating of 124 and a 71. The 18-hole Ella Sharp Park Golf Course in Jackson, MI is a public golf course that opened in 1924. Designed by Tom Bendelow, Ella Sharp Park Golf Course measures 5827 yards from the longest tees and has a slope rating of 117 and a 68. The 9-hole Executive Nine at Cascades Golf Course in Jackson, MI is a public golf course that opened in 1929. Designed by Tom Bendelow, Executive Nine at Cascades Golf Course measures 2100 yards from the longest tees. 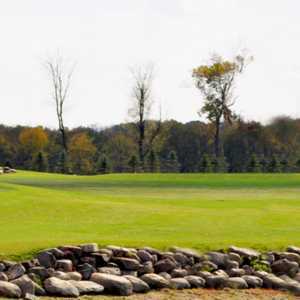 The 18-hole Gauss Green Valley in Jackson, MI is a public golf course that opened in 1960. Designed by Lloyd Gauss, Gauss Green Valley measures 6035 yards from the longest tees. The course features 3 sets of tees for different skill levels. The 18-hole Grande Golf Club in Jackson, MI is a public golf course that opened in 2001. Grande Golf Club measures 7157 yards from the longest tees and has a slope rating of 137 and a 74. The 9-hole Green at Hickory Hills Golf Course in Jackson, MI is a public golf course that opened in 1998. Green at Hickory Hills Golf Course measures 3411 yards from the longest tees and has a slope rating of 126 and a 35. The 9-hole Maize at Hickory Hills Golf Course in Jackson, MI is a public golf course that opened in 1971. Maize at Hickory Hills Golf Course measures 3307 yards from the longest tees and has a slope rating of 128 and a 36 USGA rating. The 18-hole Marsh/Woods at Country Club of Jackson in Jackson, MI is a private golf course that opened in 1991. Designed by Arthur Ham, Marsh/Woods at Country Club of Jackson measures 6792 yards from the longest tees and has a slope rating of 132 and a 72. 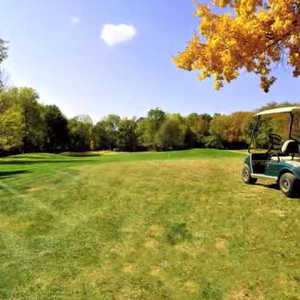 The 18-hole Pine Hollow Golf Club in Jackson, MI is a public golf course that opened in 1983. Designed by Morris Wilson, Pine Hollow Golf Club measures 6170 yards from the longest tees. The course features 3 sets of tees for different skill levels. The 18-hole Pines/Marsh at Country Club of Jackson in Jackson, MI is a private golf course that opened in 1991. Designed by Arthur Ham, Pines/Marsh at Country Club of Jackson measures 6847 yards from the longest tees and has a slope rating of 131 and a 72. 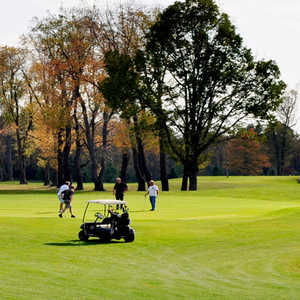 The 9-hole White at Hickory Hills Golf Course in Jackson, MI is a public golf course that opened in 1998. White at Hickory Hills Golf Course measures 3312 yards from the longest tees. The course features 4 sets of tees for different skill levels. The 18-hole Woods/Pines at Country Club of Jackson in Jackson, MI is a private golf course that opened in 1991. Designed by Arthur Hills, Woods/Pines at Country Club of Jackson measures 6773 yards from the longest tees and has a slope rating of 131 and a 72.